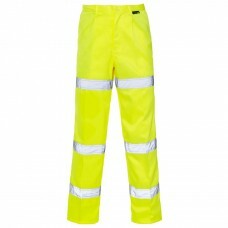 All of our work trouser styles and designs are manufactured by Beeswift and Uneek Clothing, well known brands in the clothing industry. 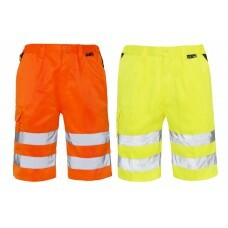 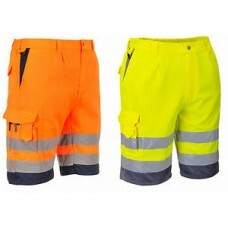 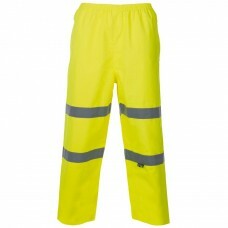 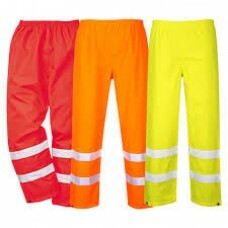 Take the hi viz waterproof work trousers which are available in fluorescent yellow. 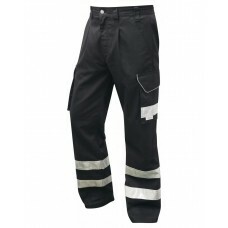 These particular work trousers can be bought in waist sizes from 30” to 46” and are washable with fully elasticated waists. 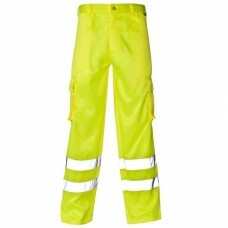 They also have adjustable ankles, two front pockets and are made from 300 denier 100% polyester PU coated fabric. 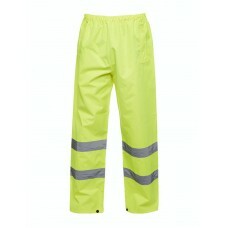 The trousers are very comfortable to wear and look surprisingly good on the eye. 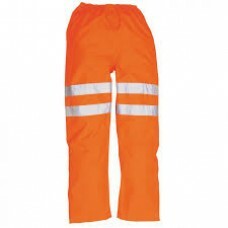 We also offer the facility of having your business name or logo embroidered or printed, maybe on the pocket which is a great way of marketing your company, must cheaper than traditional methods. 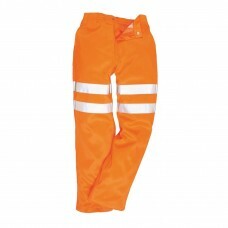 The rail spec work trousers we have in stock come in sizes of 30” to 48” and are available in orange. 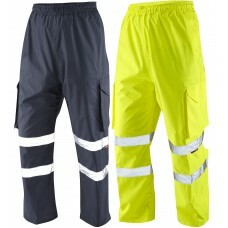 They have retro reflective leg bands, are durable, hard wearing, have knee pad pockets, cargo pockets, seven belt loop waistbands and are Teflon coated. 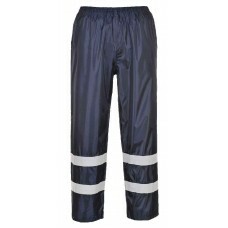 The polyester cotton they are made from is soft and comfortable to wear. 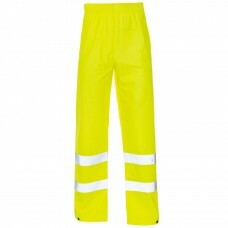 There are two leg sizes, regular and long, it’s advisable to make sure you give us the correct measurements so we can send your order to you as quickly as possible. 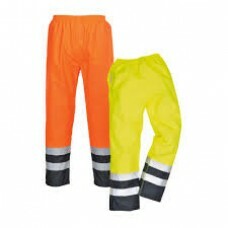 Our clothing is well made, well designed and manufactured to stand the test of time. 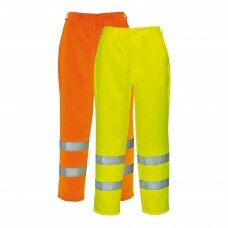 If you’re thinking of purchasing in bulk, T-Shirts, work trousers or accessories, check out what we sell. 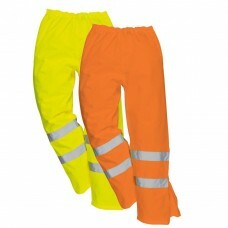 We at Your Workwear have a reputation for providing good quality clothing at affordable prices.